It is useful if your first degree or Masters is accredited by a relevant professional body, such as the Institution of Mechanical Engineers (IMechE), as it can help you to achieve the status of chartered engineer at a later date. Details of accredited courses are available at Engineering Council – Accredited Course Search. It is possible to enter the career as a trainee with a HND or foundation degree. Relevant subjects include engineering and mechanical engineering. You could become an engineering technician without a degree, HND or foundation degree but would need to build up the necessary skills and knowledge, and possibly take higher qualifications, to work up to the role of mechanical engineer. Fluency in a second language may be helpful for dealing with international offices or clients, depending on the type of industry. Starting salaries for mechanical engineers and for those on graduate training schemes are in the range of £20,000 to £28,000. With experience this can increase to between £25,000 and £35,000. At a mid-level for lead or principle engineers salaries are around £35,000 to £50,000. What is different at the UTC compared to a normal school? 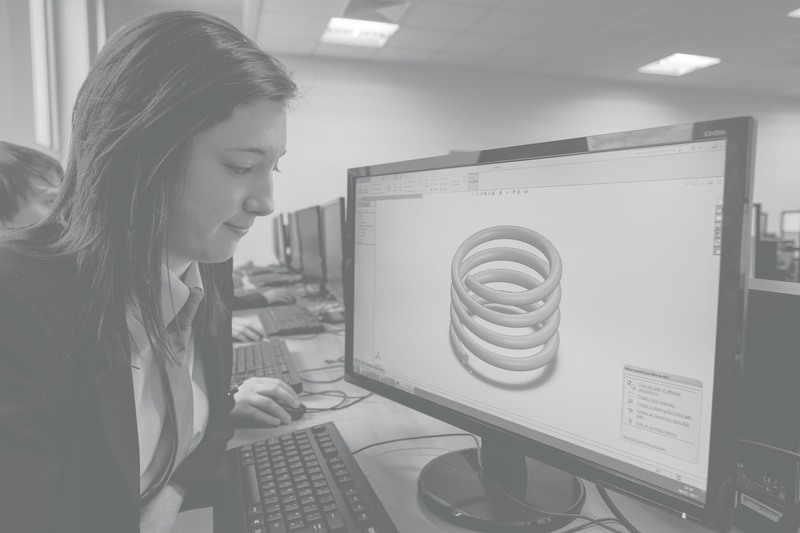 A good thing about the UTC is that everyone here can do the same lessons but you are allowed to be independent – for example, in product design, all students can work independently and differently. There are more opportunities to be creative, which was lacking in my previous school. Here students can stand out through their own creativity and individuality! What trips do you go on, and what do you think of them? I recently went on the year 10 trip to RAF Scampton which was an eye-opener, learning about the history of the RAF – so much so that I will definitely remember the experience for a long time! Going on trips helps to merge the ‘real’ world with UTC life. Normally when you start a new school you are with people that you don’t know. It was really good to go to RAF Scampton as you were put into groups with other people that you didn’t know too. It was a good way to open up and start to develop friendships with different people. We spent a lot of time learning to work as part of a team with new people, developing communication skills. What do you do on/like about Wednesday afternoons? I like the fact that every Wednesday afternoon at the UTC, they invite partner employees in to talk about their companies and their job roles. It’s good to get to speak to people who work in different companies to ask specific questions about what they do in their day to day work. You know that they will have the true answer to genuine questions, instead of it being a teacher reciting knowledge. I also really enjoyed the Nicky Morgan event in September, as it gave us the opportunity to speak to girls who have decided to become engineers, which we wouldn’t have had the chance to do in another school. You don’t see that many engineering girls, so meeting them gives you the opportunity to find people who you can look up to, and can guide you in the industry later in life. It gave me a push in the right direction! What do you like the most about the UTC? I like the UTC, especially for fact that I don’t have to wear a tie! My previous school said that they offered the same opportunities as other schools, but I knew I wouldn’t have the opportunity to speak to future employers. I have more opportunities here than I ever have had before, and it’s a relief that we can prove to other girls and to other people that you can do what you want at the UTC, despite what other schools and parents may say. I like it here because I can be myself, be creative and learn new techniques. 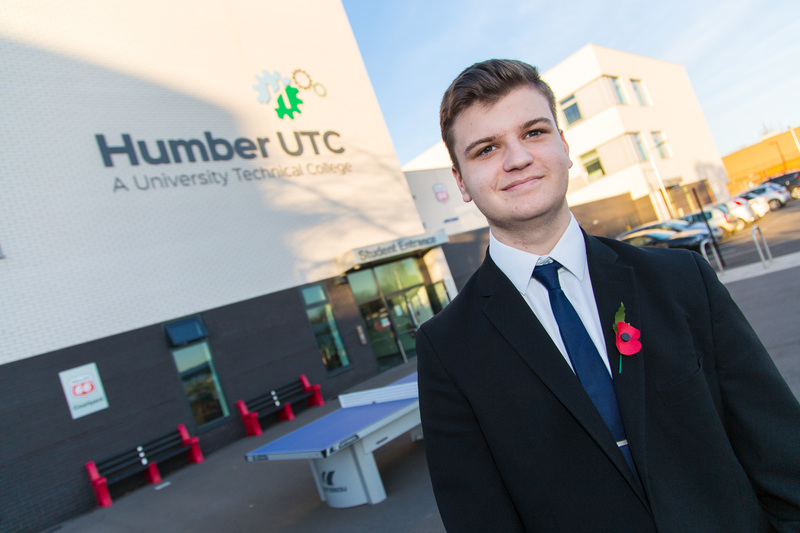 How do you think the UTC will affect your career prospects? In my old school, I didn’t feel like people knew what they wanted to do when they finished school. I was worried before that I might find it difficult to find a job – we all know that it is really hard to get a job at the moment! Being here at the UTC, I am looking into jobs with future employers at a much younger age. This will open up many doors for me, because companies are coming here and watching how you are working. You might not know it at the time, but companies are asking staff about how we are performing because they might be interested in employing us or offering us a placement in the future. It’s a brilliant stepping stone for careers. At other schools they don’t really help you with looking at what you want to do in the future – they mostly leave it up to you. Being here you get lots of help and an extra push which I didn’t have in my previous school. It’s definitely easier to get a job because we are actually seeing the real jobs and most of them are jobs that we didn’t even know about before. If any girls do want to be engineers like I do, then coming here you soon find out that the boys are actually really caring and supportive. And don’t worry about what anyone else says about your dreams, because they can bring you down – you just need to believe in yourself! What kind of things were you doing day to day in your work experience? In my week at Phillips 66, I worked at many different stations, in lots of different departments. For the first few days I worked in the offices, where I got insight into how the facility is controlled and how data is handled. I was also taken through the programs and methods with staff, as well as current apprentices that are working at Phillips. I got a good understanding of the scheduling and planning of the facility and how everything works together. Over the next few days, I was introduced to the chemical, electrical and mechanical departments. I was shown around the refinery and even had the opportunity to climb the highest point. Whist walking around, I was taught the processes for how the refinery operates and so much more. Do you feel as if you learnt a lot in your time there that could be useful in later life? I learnt how the processes around an oil refinery works as well as a lot about the industry in general. I feel as if I’ve learnt a lot of valuable information that will help me succeed in the future. I learnt how engineering as a subject will be useful to me as it opens me up to more opportunities. Having a week at Phillips 66 widened my view of the spectrum of different careers which are available to me. What was your favourite thing you did/saw? I loved going on site to give the team a hand in the mechanical department. I was tasked with checking the online database for anything on the refinery that needed to be checked and looked at, before going on site to have a look at the designated part. After getting the required information we had to log it back into the system at the offices for further analysis. This was great for me as it felt like I was a part of the company. Has your work experience has given you an idea of the career you want? Gaining work experience has opened my mind to the many different careers available in engineering, and has confirmed to me that that’s the path I want to go down. It has shown me that all aspects of engineering, specifically in the refinery department, are interesting and exciting and are worth pursuing a career in. Do you think the UTC can help you get where you want to be? 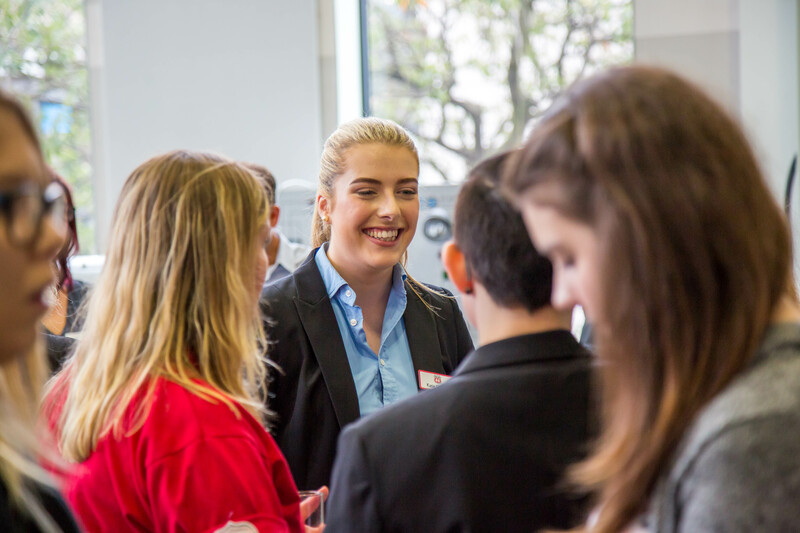 The UTC gives students so many opportunities, especially with its connections to companies for both work experience and advice. 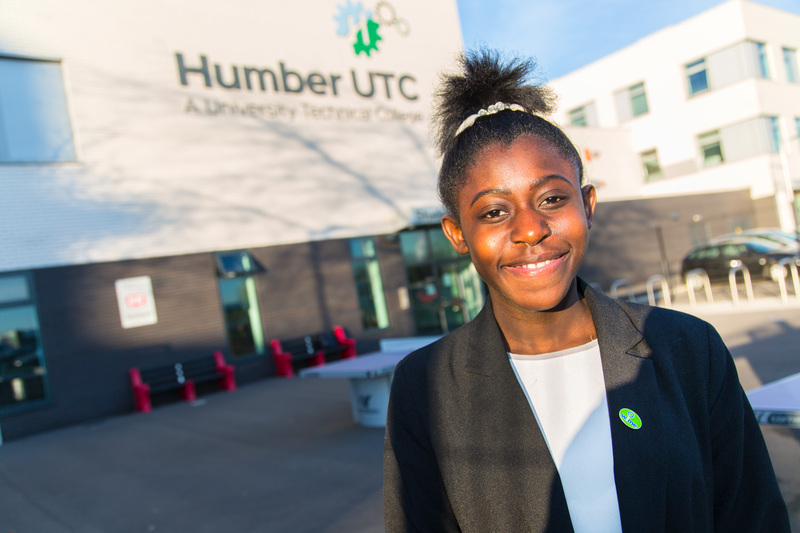 The UTC has specifically engaged with the companies we want to speak to as students, and has helped me get into the right head space to engage with my potential employees for a successful career.